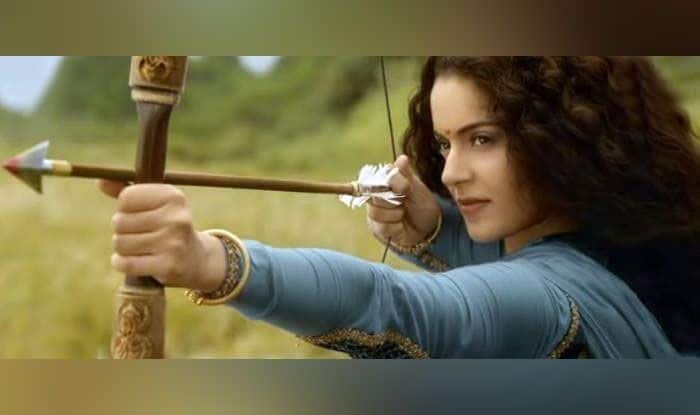 Manikarnika: The Queen of Jhansi could be entering the Rs 100 crore club soon. Period drama Manikarnika: The Queen of Jhansi, which is based on the life of Rani Laxmibai, had got off to a good start at the box office when it was released, minting Rs 8.75 crore on its first day. And despite the controversy and row that had started between actress Kangana Ranaut and director Radha Krishna Jagarlamudi, better known as Krish, the movie still performed well. On day 12 of its release, the movie has minted a total of Rs 80.95 crore. Film trade analyst Taran Adarsh, who tweeted the numbers, opined that the movie is maintaining its box office run, but at lower levels. The movie had made Rs 3.50 crore at the start of its second weekend and the earnings had gone up on Sunday, but by Tuesday the collections stood at Rs 2.05 crore. The film is also facing competition from Vicky Kaushal’s Uri: The Surgical Strike, and the recently released Ek Ladki Ko Dekha Toh Aisa Laga featuring Sonam Kapoor and Rajkummar Rao. The movie had released on 3700 screens in 50 countries worldwide in Hindi, Tamil and Telugu on January 25, 2019, and it had also been received well by critics. Kangana had received a lot of praise for her portrayal of Rani Laxmibai and also for directing the movie, and in a recent interaction with the media she had spoken about the row she had with Krish. “He (Krish) has been credited for his work in the film and it is very incorrect on his part to say something like that. If he has any issues with the film, then he should talk to the producers and should not attack me for that reason. He should prove whatever he is saying. Nothing will come out of it if he will keep talking about it in the media,” she had said.